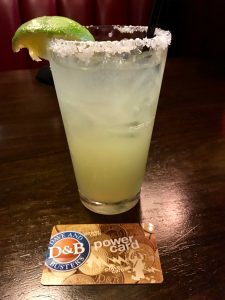 Dave and Buster’s may be known for their food and video games, but when visiting them this day, they had a nice selection of Margaritas, all featuring 100% Agave Tequila. So, of course, I decided to sample a couple. All in the name of finding the ultimate Margarita! 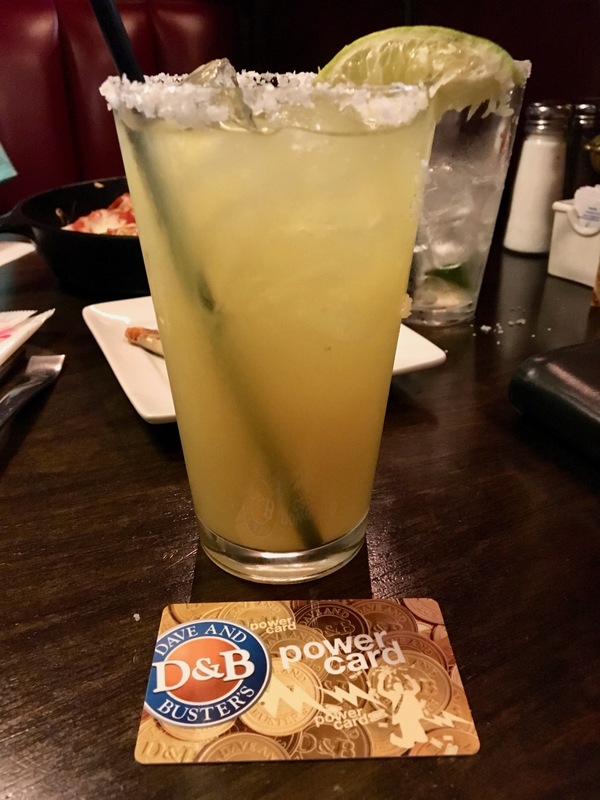 Dave and Buster’s offered a Perfect Margarita (not to be confused with Applebee’s version). I really liked the fact they listed Patron Citronge liquor, which has become one of my favorite orange liqueurs to use in a Margarita. I’ll explain why in a future posting. The first sip was very thick on the palette, to which I assume was due to a high sugar content or consistency of the mix they used. The overall flavor was very tart, yet it was smooth and sweet. This wasn’t a Margarita I would consider to be a traditional flavor, but if you like the flavor of the mix they use in their Perfect Margarita, then you could be a fan. Just be aware that it is quite sweet! I’d rate Dave and Buster’s Perfect Margarita a 7.5 for this visit. Next I tried their Million Dollar Margarita. Certainly an interesting name so I decided to give it a try. As compared to the Perfect Margarita, the Million Dollar was not quite as thick. It was tart and sweet with a little more citrusy flavor. Overall it was a smoother tasting drink although it still had a bit of a mix flavor. 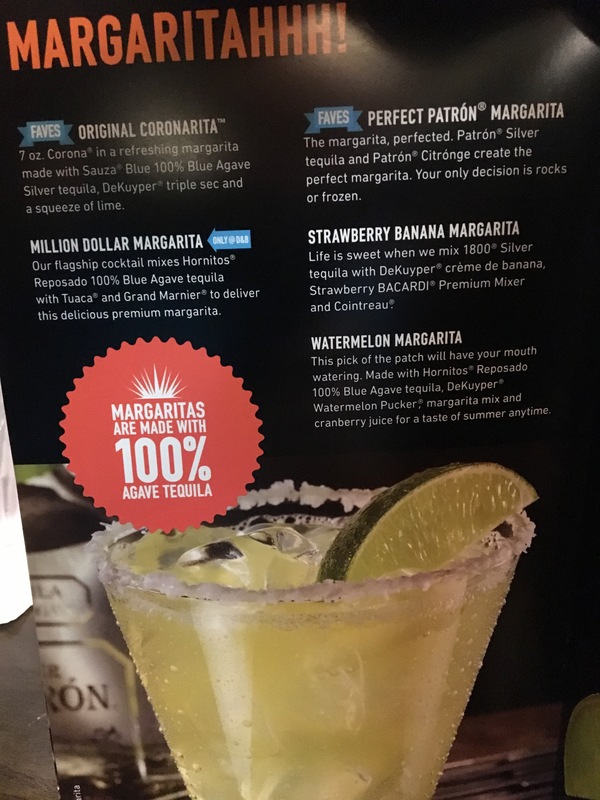 I’d give the Million Dollar Margarita a 7.5 as well. It certainly is nice to see more places featuring Margaritas on their menu, especially when they detail the ingredients they use and those ingredients are quality. We just need to get more places to realize that they need certain ingredients to be more fresh instead of mixes and we’ll be on our way to Margarita heaven!